Below are the most important updates in this release. We have made the information that is important to you even more accessible. No more pop-ups. 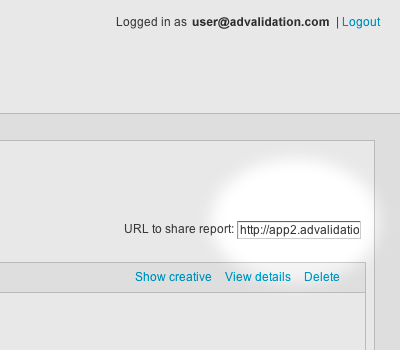 Simply click the toggle list/report button to when the validation is done to see how your creatives performed. The link to share the report is located at your top right. You’ll be seeing that link on more pages in future releases. You can browse through all creatives in a validation job with our new slide show view. Simply click the view creative link. 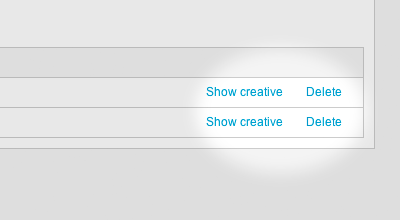 Once the first creative is shown you can use the arrow keys on your keyboard to quickly browse through all creatives in that validation job. Right next to the view creative link is the new delete creative link. If an ad expands beyond it's initial dimension we'll report that under details. Experimental support for tags in Excel files. Support for Doubleclick internal redirects (inred tags). 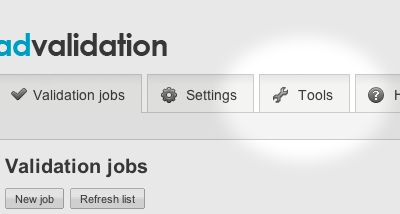 We have added a new tab for small helpful tools. Go ahead and try the "tag viewer", a quick way to preview a third party tag without a single click. Simply paste the tag and the creative will appear.